Welcome to the Begbies Traynor office in Huddersfield. 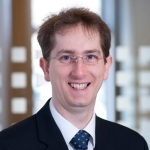 I’m Richard Kenworthy and I’m a Director for our team of Yorkshire-based Insolvency Practitioners. At Begbies Traynor we help companies from a wide range of different industries located throughout the UK to understand and assess their options when suffering financial distress. Leading an organisation that is facing the prospect of insolvency is challenging for all involved, particularly for directors. We work closely with individuals in these situations to help them take steps forward and find the right solution for their particular circumstances. Our office in Huddersfield is one of several located in Yorkshire and one of many we have throughout the UK. You can contact any of our offices to arrange a consultation and to find out more about how Begbies Traynor may be able to help you. Don’t hesitate to contact us if you are in need of any form of corporate insolvency advice.